Men, women’s and juniors extra wide shoes for every occasion: from athletic wide width shoes to dress wide width shoes; from casual wide shoes to slippers to therapeutic wide width shoes. I have made a choice selection of online stores specializing in common and hard to find styles, widths and sizes shoes. Here is a list of symbols that express foot width. As a general rule the narrower the shoes the more the letters A. For example AAA is slimmer than A. Similarly, the wider the shoe the more the letters EEE or 3E is wider than E.
Wide-Width Shoes at Zappos.com The largest online store specializing in quality affordable shoes now has it in extra wide widths and wide calves. They have a large selection of Ladies Wide and Extra Wide Width Shoes from brands like Nike, Ugg, Heelys, Dansko, The North Face, etc. 6pm.com is a shoe fashion outlet offering the largest discount on designer shoes like adidas, clarks, puma, bcbgirls, naturalizer; for shoe brands and designers whose names are donald j pliner, sergio rossi, and stuart weitzman. Walkers Wearhouse has MBT walking shoes and new balancing running shoes. They offer from walking to casual to candals to hiking and trail to running and x-training shoes. Affordable and Cute to BOOT at Torrid. The boots and shoes at Torrid are not marked as wide width or wide calf but they are. Torrid boots and shoes are trendy and fashionable but they cannot be considered long-term investment. Walking Cradles offer trendy, stylish and comfort shoes from the brand names like Anne Klein, Joan & David, and Naturalizer in narrow, medium, wide and extra wide width, sizes 6WW to 15. Their shoes look great and feel just as good. Have you always wished that you could find a pair of boots with a calf large enough to fit your plus-sized or athletic calves? WideWidths.com is your dream come true because EVERY boot on this site comes in plus calf sizes! 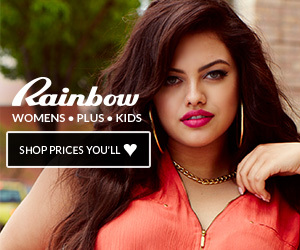 Plus Size Shoes, boots, and accessories at Lane Bryant Catalog at full and half sizes, from M , W, and WW widths. You can stock up on wardrobe essentials at LBC because they have it all: from stylish pant boots to wide width leather pumps to comfy walking shoes. Amazon.com when it comes to reliable online store selling shoes and boots. The best features are: 1. FREE Overnight delivery of the purchased items without any strings attached. 2. Real sales with 40 % off. 3. Price Guarantee which means they offer the best price around. Shoes.com As the name says, this online store offers any kind of shoes you can imagine, so if you are looking for fashionable and trendy shoes, pay a visit and check out their special offers. this, like you wrote the book in it or something. I think that you can do with a few pics to drive the message home a bit, but other than that, this is fantastic blog.